On November 27, hundreds of neon green bikes and orange bikes descended on downtown Durham. Within hours, the green LimeBikes and orange Spin bikes had migrated towards Ninth Street. A couple days later, my kids made it a game to spot the bright bikes, prompting my 9 year-old daughter to ask existential questions like why Spin bikes weren’t called OrangeBike. As an advocate for more sustainable ways to travel around my town, dockless bikeshare is an obvious win. At the bikeshare kickoff, one of the first riders was a woman who admitted she doesn’t ride much but had a meeting that was down the street that she would normally drive to. If these are the use cases that are emerging in the first hours of bikeshare in Durham, I can’t wait to see what the future holds. And Durham can’t beat the price. 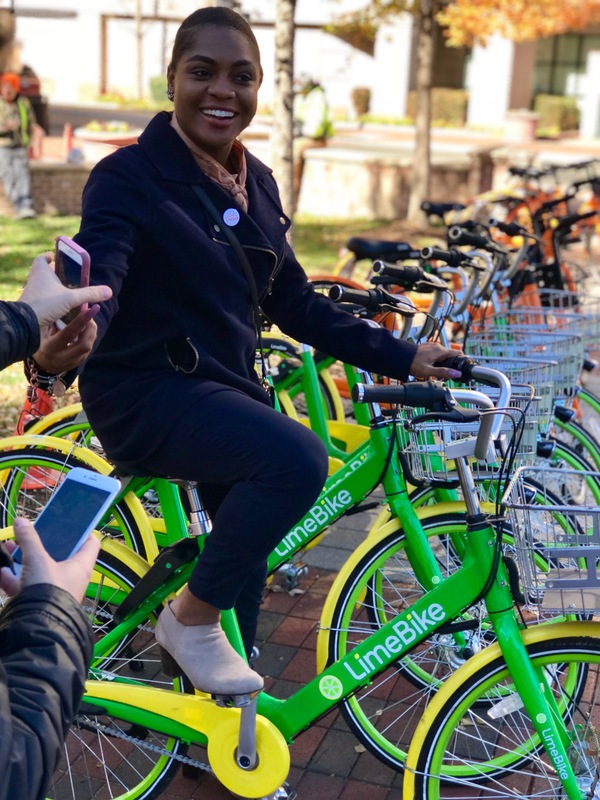 Compared with the multi-million price tag of traditional docked bikeshare in Raleigh, Durham is starting with 600 bikes (potentially rising to 5,000 bikes) at no cost to taxpayers. 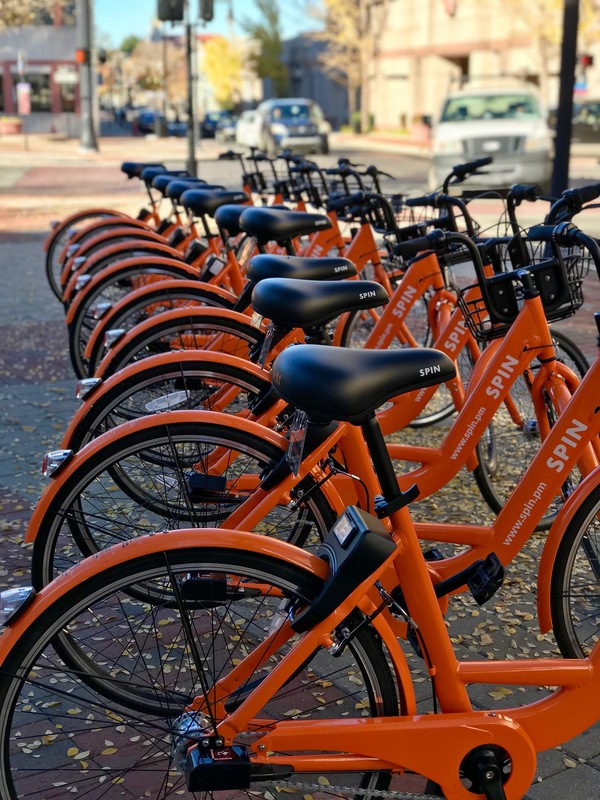 Technically, with the licenses paid for by the bikeshare companies plus the data on usage that they will share with the city, the city is coming out ahead. The speed of deployment is amazing. Durham went from idea to bikes on the street in just a few short months. Comparatively, Raleigh’s process for docked bike share has taken years. To be clear, there are pluses and minuses to both docked and dockless, but dockless allows for quicker and cheaper deployments. Yet, there are aspects of dockless bikeshare that trouble me, especially around the theme of control. We’ve seen this tension before when new solutions to existing problems are incompatible with existing controls. It often takes some time before both the community and the regulatory structure adapts to the new solution. Until state regulations leveled the playing field with brick-and-mortar retailers, Amazon benefited from not having to collect sales tax for years. Similarly, Uber and Lyft found many cities’ regulations didn’t account for smartphone hailing of vehicles. On the more operational side, there is reasonable concern about how dockless bikes can get parked in unsafe locations or abandoned in trees. While I’m sure there will be some suboptimal behavior in Durham, I hope it will force a larger conversation about public space like streets and sidewalks and how it’s used for private individuals, whether that is bikeshare, street festivals, or parking cars. But perhaps the biggest consideration is the relationship between the public sector and private data. There is a saying in the internet circles that if you’re not paying for the product, you’re not the customer, you’re the product. And while that analogy might fall apart a little since users are paying for the product, they certainly aren’t paying the full cost. What does that mean? It means that the bikeshare companies aren’t simply bikeshare companies. They are collecting vast amounts of data about where you come from, where you go, and how you are moving around the community. Like the social media you use to share updates about your kid’s soccer game, this access to your information isn’t necessarily a problem as long as you are mindful of this access. 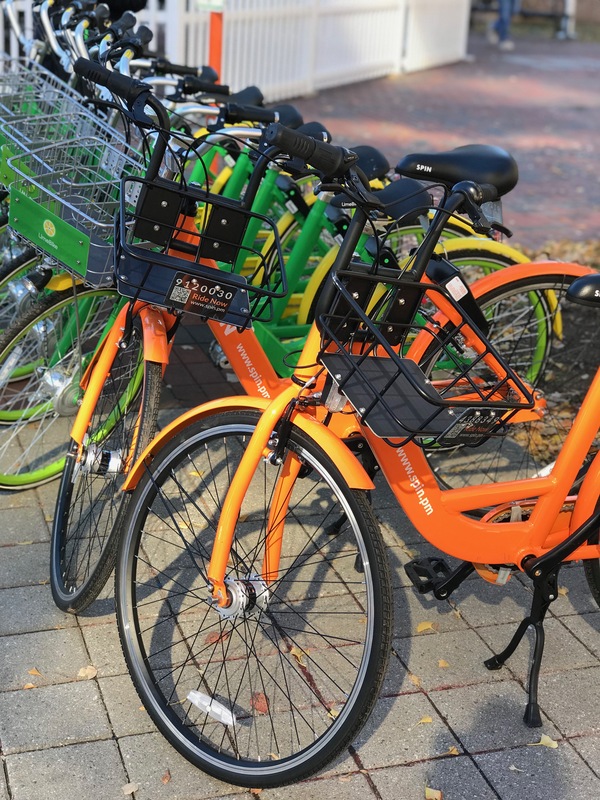 Where the dockless bikeshare industry goes and the impact it has in Durham remains to be seen, but it will no doubt be colorful.